OkoPoly HND admission lists (1st and 2nd batches) are out. The Federal Polytechnic Oko HND admission list for 2018/2019 academic session is out. The admission list comprises the names of candidates that have been admitted into Higher National Diploma programmes of the institution for 2018/2019. All applicant for the programme are hereby informed. The management of Federal Poly Oko has released the list of candidates who have been offered provisional admission into HND programmes of the institution for 2018/2019 academic session. The first and second batch Oko Poly HND admission list have been approved and uploaded on the school admission portal for checking. Therefore, applicants can go online to check their OKOPOLY admission status. 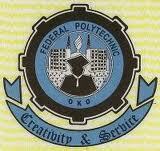 Firstly, go to Oko Poly admission status checking portal located at portal.federalpolyoko.edu.ng/modules/admissions/checkadmissionstatus.aspx. Select ‘Student Type’ from the drop down i.e. Higher National Diploma. Select your session from the drop down i.e. 2018-2019. Enter your Application Number in the space provided. NB: Admitted students should Acceptance their Admission within two weeks of Notification of Admission. ALSO SEE: Federal Poly Oko HND Acceptance Fee & Payment Procedure and Oko Poly Clearance and Registration Procedure for 2018/2019 newly admitted HND candidates. We congratulate all candidates whose names appear on the first batch and second batch HND admission list of Federal Polytechnic Oko for the 2018/2019 academic session. We wish you all the best as you check!